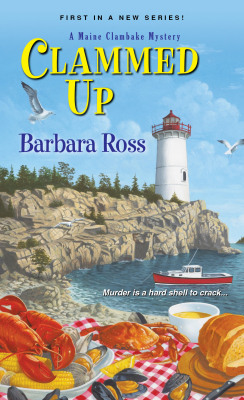 refrigerator, Julia must figure out who ordered up a side of murder. 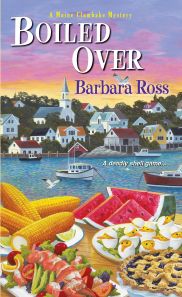 Fogged Inn, Barbara Ross’s newest and fourth release in her Maine Clambake Mysteries, combines murder with reconciliation of past relationships. The book will be released next Tuesday, February 23rd. Like her other book covers, this one is very appealing. I don’t know who the artist is, but the covers capture the milieu Barb creates. I suspect the artist also reads the series. I read this book after learning about a college friend’s death six months after he’d died. Perhaps because of that news, Fogged Inn held special meaning. I wondered what had influenced Barb to plot this book. 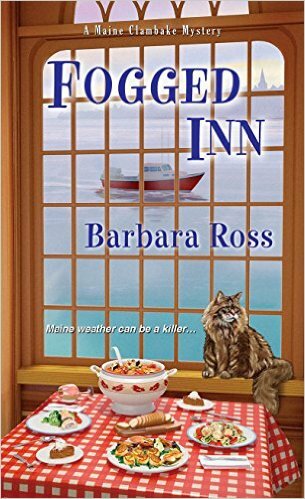 Pull up a couch and a blanket and visit with Barb as we discuss Fogged Inn on this cold winter day. Welcome back, Barb! Why does anyone live in Maine during the winter? Laughing! As my friend, author Lea Wait, who lives in Maine year-round, says, “It’s not as bad as you’d think.” Along the coast, the ocean mitigates the temperatures and keeps it warmer, at least for a while. Of course, cold air and warm water also create fog, which is the weather challenge in Fogged Inn. Julia’s investigation leads her to the past. All of her suspects claim not to know the others. But a clue from Fiona and Viola Snugg provides the link. The Yacht Club seems like it would be an exclusive enclave of the rich. Was it a place where all the young people became acquainted? The wealthier summer residents belong to the Yacht Club, but its sailing lessons are open to all children, and many of the locals take advantage. Even though its members are well-heeled, the Yacht Club building is a stripped-down place, shabby, utilitarian, and not at all luxurious. This is fairly typical in parts of Maine, where money often hides down lanes and in small coves—not at all showy. At times Gus seems to treat Julia and Chris as if they are two-year-olds. But then he reveals a secret about the restaurant. I wanted to slug him. Is he just an old guy or is he cagey? Gus is a cranky curmudgeon, and typical of a certain type of Mainer. He works for himself and by himself, and not without reason. Sharing the restaurant space is new to him, and even though he is fond of Julia and Chris, and he suggested sharing the space, it is taking him some time to adjust. Julia was reluctant to go with her sister to the knitting circle where she found good information about the suspects. Why the reluctance? Is Julia a snob? I do think a lot about snobbism and class as I write this series. Julia has been to prep school, college, a top business school, and worked on Wall Street. Her sister Livvie has very deliberately taken a different route. 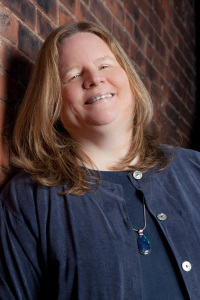 She has a high school education and is married to a man who has a high school education, and they work locally, both at the family clambake business and at winter jobs. America is such a unique and funny place where two members of the same family can be perceived as belonging to different classes. In an earlier book in the series, Livvie accuses Julia of being a snob, and Julia has to consider whether it is true. Snobbism and class come into play even more in Julia’s relationship with Chris, and I do wonder what it means for them down the road. In Fogged Inn, Julia’s momentarily taken aback when he announces he needs time off from work to get his deer. None of the men she dated in Manhattan ever said anything like that. But then again, Chris is a man with her father’s background and work ethic, so maybe he is a better match than those other guys. I think Julia is a like a lot of people. She has insecurities in social situations that cause people to think she’s more snobbish than she is. By the same token, in new situations, she sometimes does react snobbishly, though she almost always finds, as she does with knitting circle, that her prejudices are inaccurate and her fears unnecessary. Le Roi isn’t much of a guard cat, is he? Although Chris and Julia seem to have found a rhythm to their winter days, Chris still has his house, which he is slowly renovating. He seems more independent in their relationship. But in the end, it’s Julia that keeps part of herself back. Why did she do that? I think, when we have someone in our life whose opinion we value above all others, we often don’t tell them when we are planning to do something we suspect is stupid or wrong. We know what they will say and we don’t want to hear it. Julia doesn’t tell Chris what she’s up to, because she fears he will judge it as foolish, because, deep down, she knows it is. In remote small towns, do lousy restaurants like Hole in the Wall Pizza survive just because there is no alternative? I don’t know the answer to this, but I do want to take this opportunity to emphasize that the terrible Hole in the Wall is absolutely NOT based on any real place. Deborah Bennett fascinated me. So unlikeable, and yet, like the rest of us, Julia makes false assumptions about the woman. 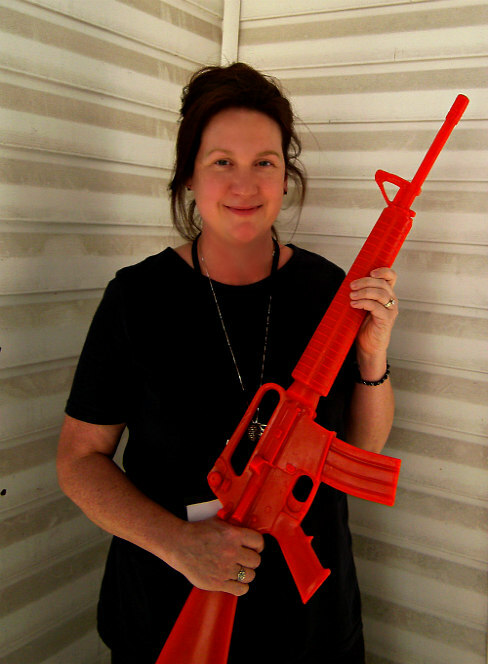 Why do we misjudge Deborah? We misjudge Deborah based on her looks, and, to turn the snobbishness discussion above around, we dislike her because she is obviously a wealthy and privileged woman. But like all of us, she is more than the sum of her parts. 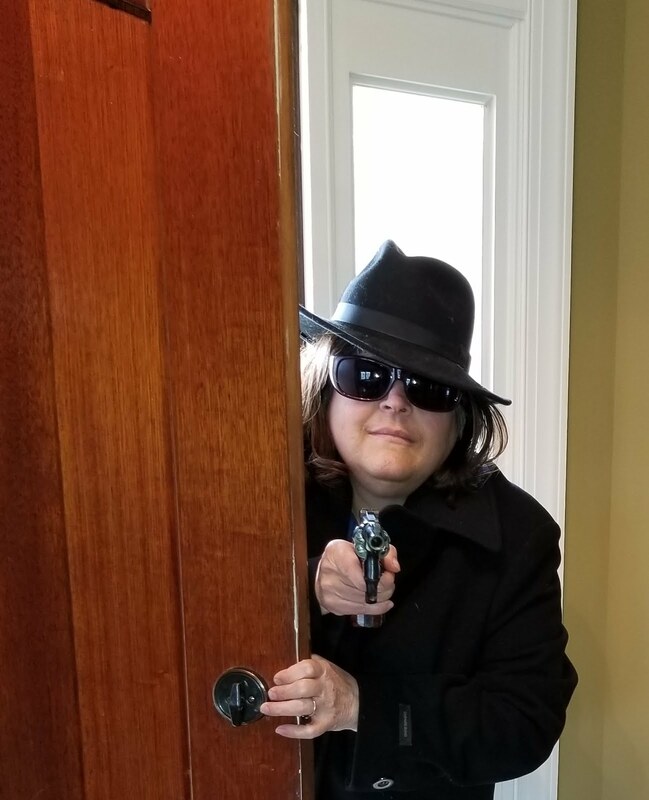 All of Julia’s suspects in Fogged Inn are retirees, and she is more than thirty years younger. In the course of the book, she discovers that each is more than he or she appears to be, to the good and the bad, the tragic and the comic. Does everyone grapple with past relationships? And is it important that we come to terms with the past? Have you been dealing with such issues, like me? Fogged Inn was originally inspired by the speech the actor Mike O’Malley made at my daughter’s graduation from UNH. “Try as often as you can to pay tribute to your friends, to stay in contact, to be present at their momentous occasions. Drive across the country and go into debt to go to their weddings, fly across the country to be with them when their parents pass away. You cannot make any new old friends.” It was the perfect thing to say to college seniors gathered on campus for the last time. But then, this fall, long after the book had been turned in, my husband and I lost two old friends in a matter of months. At their wakes, I saw people I have known and cared about for years, but whom I rarely see. My generation is not like my children’s. We didn’t have social media to keep us up on what was going on in each other’s lives. We didn’t have e-mail, and long distance calls were expensive and reserved for emergencies. We lost touch more than we should have. 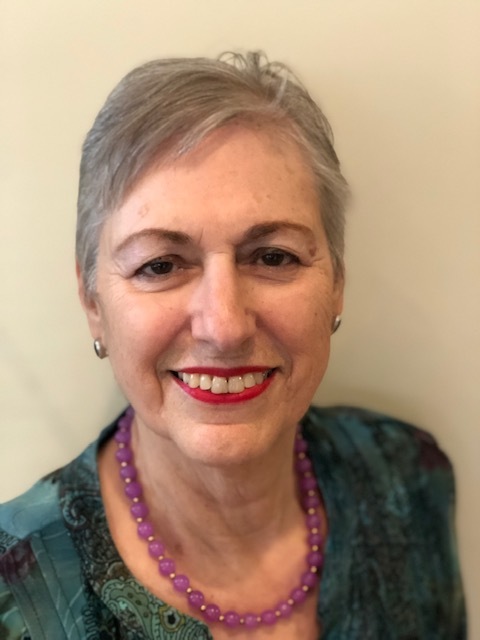 At the second wake, an old friend said, “Why haven’t we seen each other in forty years?” The truth is we had kids, we got more responsibility in our careers, some of us moved to the suburbs, our lives were busy and crazy and satisfying. But there is absolutely nothing like those old friendships, where you can pick up where you left off as if no time has gone by. In this book you diverge from the normal scenario. Julia solves the mystery to a point, but because she doesn’t have access to the forensic evidence, she can’t get to the final clue. Why did you go that route? I don’t like those cozies where the amateur has to solve the mystery because the cops are buffoons. I always try to have my two detectives have a perfectly plausible theory of the case, based on the evidence they are collecting. Julia, as a local, has access to some information they do not. But the cops, as professionals, also have access to some information Julia doesn’t. Julia’s right about a lot of things in this case, but not everything. Do you think everything happens for a reason? Is life the ultimate mystery here on Earth? I believe actions cause reactions, but I also believe much of life is random. I believe the ultimate resource is time. We get a limited amount of it and it’s up to us to use it well. When people get less time, it’s a tragedy. They may miss building a career, or falling in love, walking a daughter down the aisle, or spending time with grandchildren. And all those other people miss the time they could have spent with the deceased person, and the ways that person might have influenced them. But I also believe we go on in the memories of the people we come in contact with and the people they come in contact with and so on. Now that I’m older, I think of the most random things people in my life have said to me, more often than I ever would have anticipated, or I believe they would have expected. I’d like to address the “why would anyone live in Maine during the winter question” from two fronts. First, those who grew up and could not move away and are not rich are forced to stay, like it or not. Second, there is a community in small towns with generations going back centuries that is not and will never be present in either cities or with people who move frequently. Third, some revel in winter sports: hockey on ponds, snowmobiling, cross-country skiing. 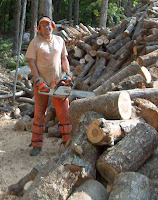 My northern woods come alive with activity once bird-hunting season starts and do not settle down until mud season. A more pertinent question might be: why does anyone go do Maine during black fly season? It's interesting that you address complex issues in a cozy. (Sigh) Another book for my to be read pile. Jim-All of those things are true, though Maine, like many places does suffer from an exit of young people and an aging population. Warren--yes, people are complex, so the people in most cozies are complex people living in complex circumstances. 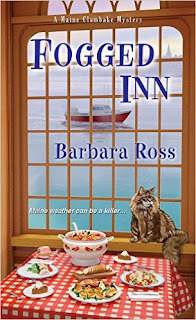 Thanks for putting Fogged Inn in your TBR pile! What a great interview! I love how deeply you look at all the layers of your characters and story lines. It makes me work harder. a cozy with complex characters! Great interview and look forward to reading it. I love the character development--of course! 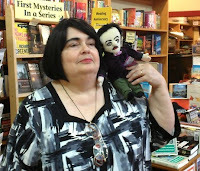 I forgot to ask about the next book, which is short sighted. Do you have a title yet? Next up is a Christmas novella, coming in a collection along with stories by Leslie Meier and Lee Hollis on October 25th. Then the 5th Maine Clambake Mystery, Iced Under, coming December 27th. 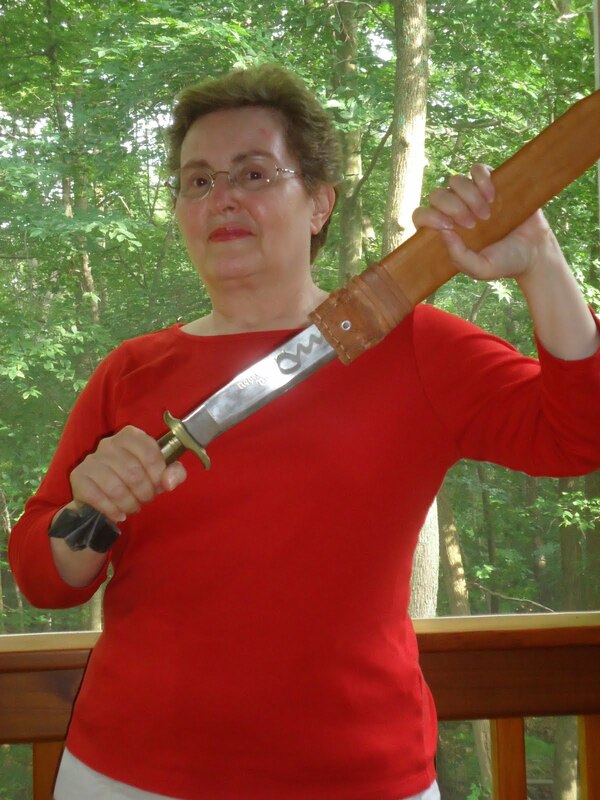 Wow--congratulations, Barb. I'll be on the look out for those! Thanks. What a great interview, Barb and Elaine. It's so true, Barb - for our generation it was easy to lose touch with old friends. But isn't it great that when you get back together you can just pick up where you left off. Looking forward to your new books. My TBR is tottering! I'm especially excited that you are doing a holiday novella. I'm a fan of short stories and shorter works, especially during time crunches like the holidays. 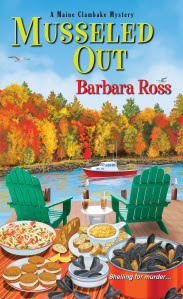 I've loved your books so far, Barb, and I'm looking forward to reading this one. I also love Maine from my visits there camping, but I'll admit none of them have been in the winter. I get enough cold and snow here in N.E. Ohio. Congrats on the new book coming out next week. If it's as good a read as the others, it'll be great. And to think you have the next two ready to go! Thank you, Gloria, KM and Shari. So glad you are enjoying the books! ARE THANK YOU LETTERS A LOST ART?